Garibaldi ($2.80) sat behind the early leaders to the turn but came away in the straight to beat his stablemate Ready To Roam ($21) by 1½ lengths with 1¼ lengths to Raging Pole ($12) in the Lunar New Year Handicap (1000m). "I had him in the Canonbury Stakes at Rosehill today but elected to stay here. 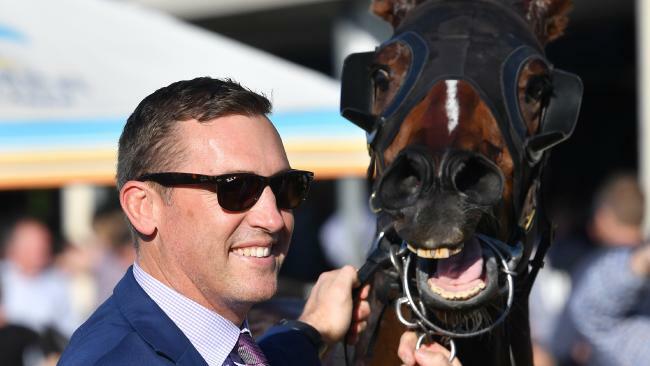 As it was, the track was a soft seven and we would have had to travel," Gollan said. "He is going to Sydney but I am not going to rush down there. 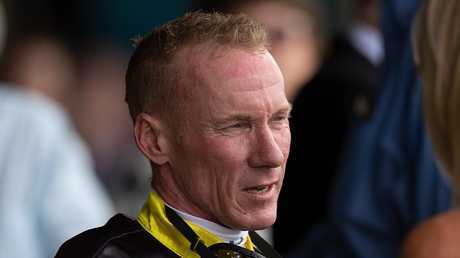 The lead-up to the Slipper always has plenty of lead-up races and we will pick the right one for him." Garibaldi is yet another top horse by boom sire I Am Invincible and Gollan said he was the pick of the colts at last year's sales. "He really is a lovely horse and as you saw today he has a heap of ability. 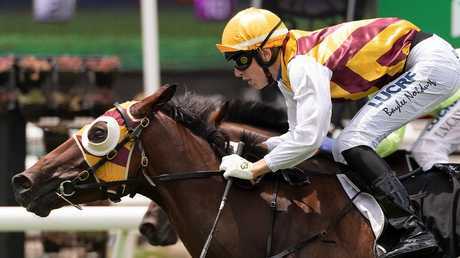 We have been able to put together a strong syndicate," Gollan said. Jockey Jim Byrne said Garibaldi had been able to get into a nice position before the turn and was too good. "Tony told me to give him plenty of galloping room and I was able to do that in the straight," Byrne said. 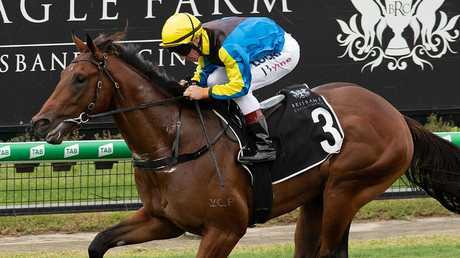 Meanwhile, owner Linda Huddy's liking for the offspring of sire Lucas Cranach paid dividends when Get Stuck In scored an impressive win at Eagle Farm. Get Stuck In ($4.40) came from the tail of the field to beat Drumadoir ($2.70) by a long neck with 2¾ lengths to Elixir ($8). 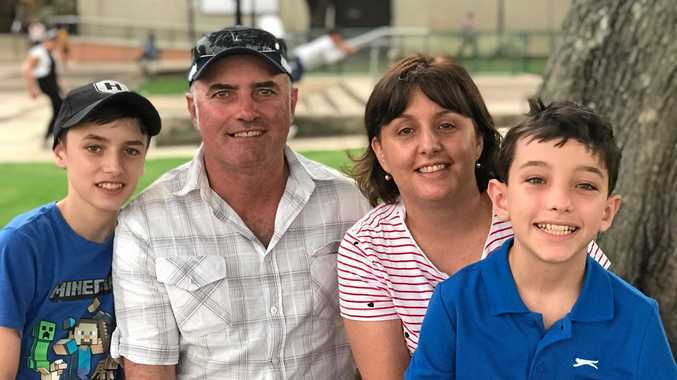 Huddy and her husband Graham are among the biggest horse owners in Australia and have had great success, including Australian Derby winner Shoot Out and Victorian Derby victor Preferment. They have some expensive horses with trainers throughout Australia, including Brisbane's leading trainer Tony Gollan. However, they have several horses with Gollan who are by Lucas Cranach a former German galloper who ran third in the 2011 Melbourne Cup. "I have run out of fingers and toes counting the number of horses we have by Lucas Cranach and I think he is just starting to come into his own," Huddy said. "The last time I checked he had 15 winners but I think there will be more in the city soon." Gollan agreed and said he felt Get Stuck It could go on to win more Saturday metropolitan races. "I honestly thought he was my best chance for the day and I have a few chances here," Gollan said. He will consider trying Get Stuck In over more ground. "I must say he is no oil painting but he does try very hard," Gollan said. He paid tribute to 3kg claiming apprentice Baylee Nothdurft who didn't panic when Get Stuck In was forced back through the field.